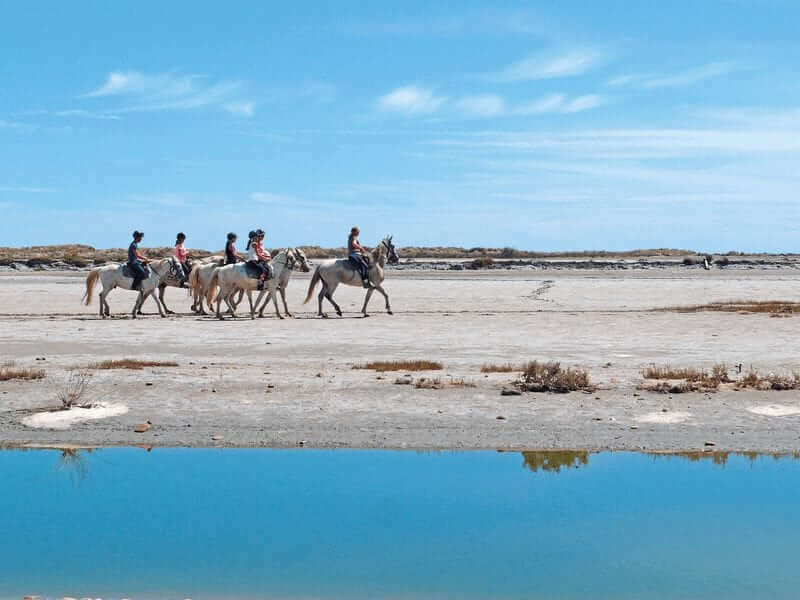 A wonderful boat & bike tour through the wild Camargue nature with its bulls and horses: from the medieval fortress of Aigues Mortes you’ll cycle gradually towards Arles. 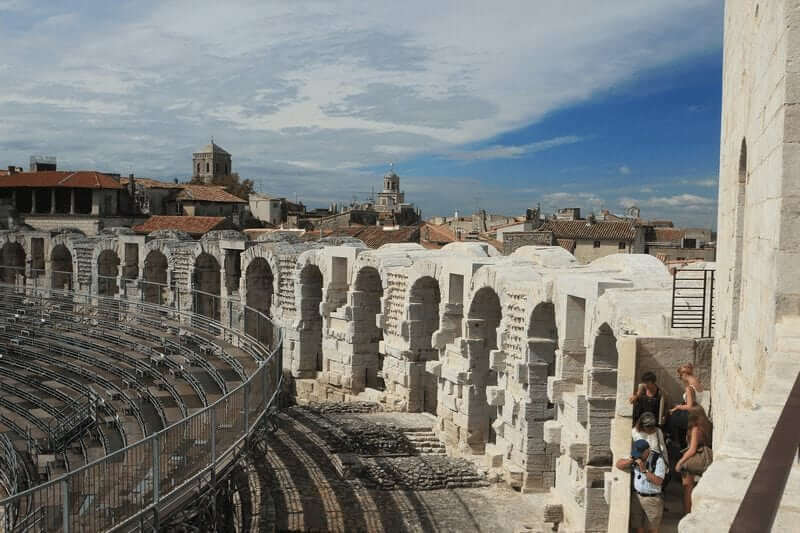 After that you’ll visit the most typical Provence landscape, including the Rhone Valley, Van Gogh’s Provence and the Roman Pont du Gard. When guests prefer a day of rest, they can stay on board while cruising to the next town. 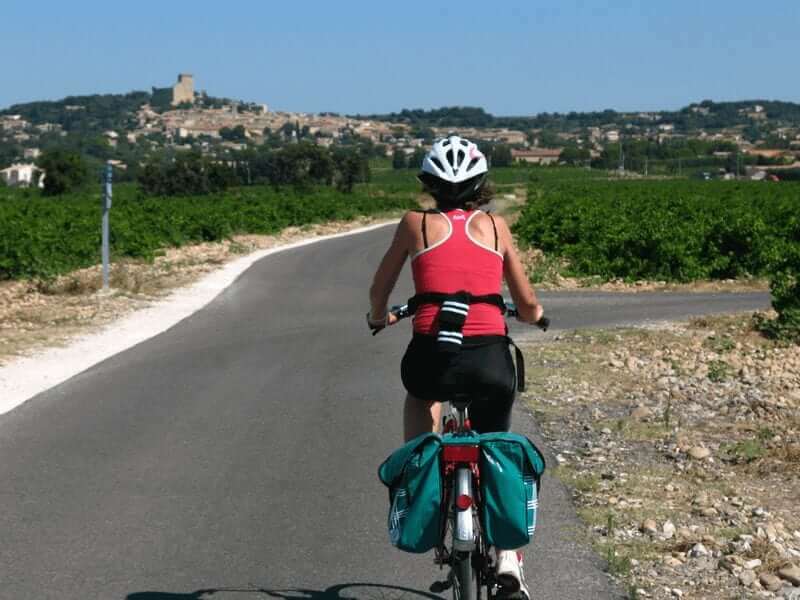 Today you’ll get to the other side of the river Rhone by crossing the island Île de la Barthelasse, and we’ll ride in the typical garrigue landscape, between vineyards and orchards. 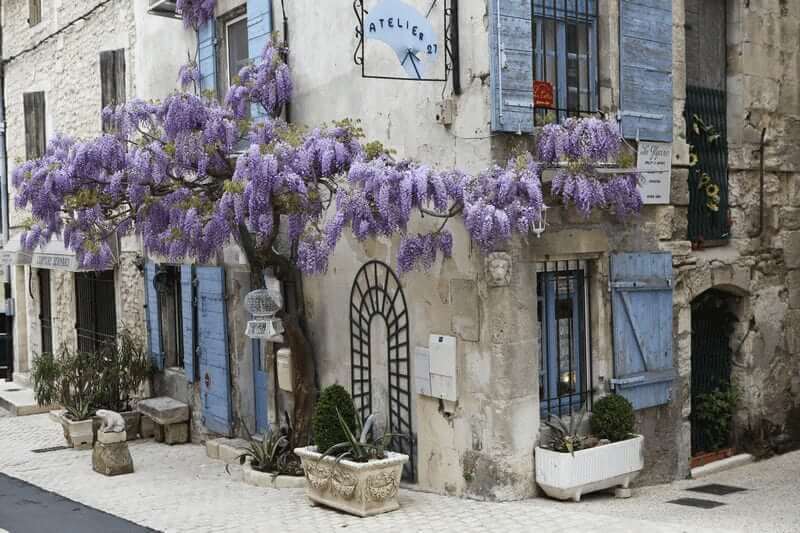 Before going back you’ll visit Villeneuve Les Avignon, once known to be the town of the cardinals. 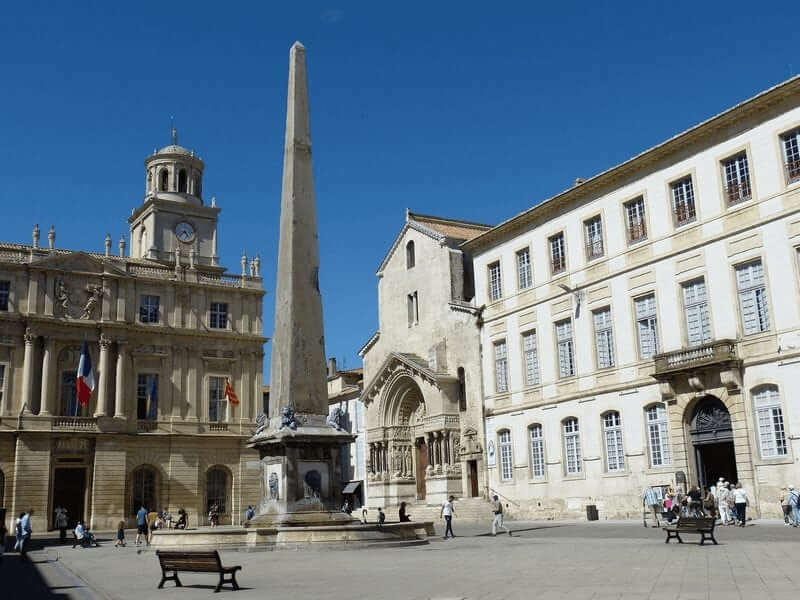 In the afternoon a guided visit will let us discover the historic center of Avignon. 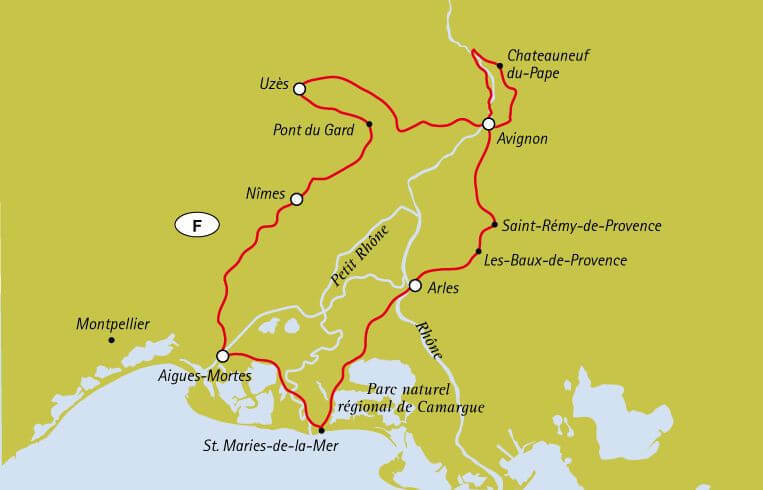 Simple circuit along peaceful country roads through the island Île de la Barthelasse. 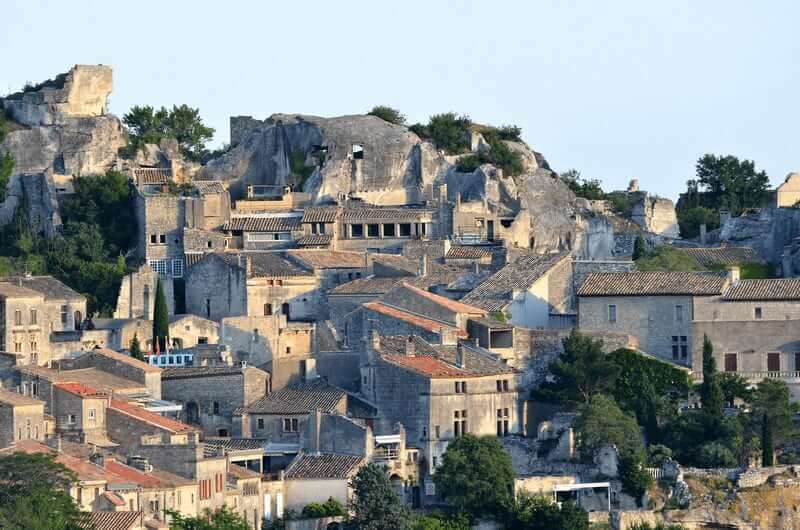 You will find some short climbs before Villeneuve Les Avignon. 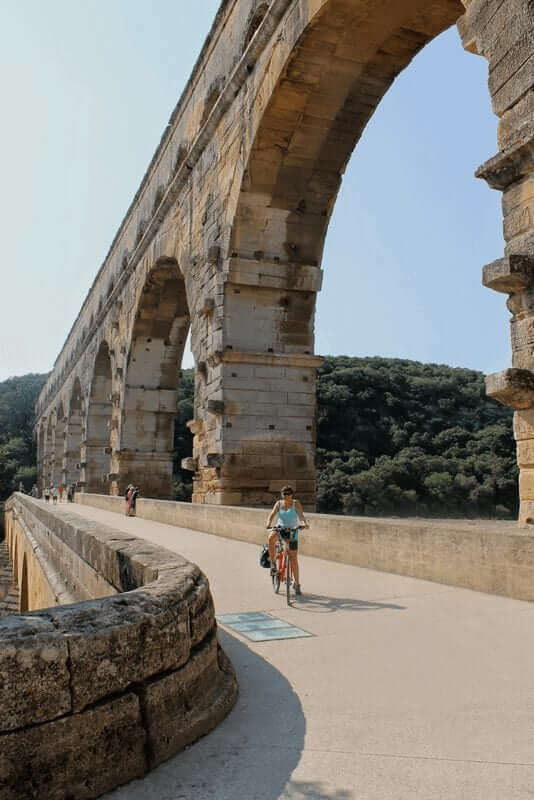 After leaving the village of Aramon the itinerary will bring you between rolling hills covered with fine vineyards and ancient villages before reaching the front of the majestic Pont du Gard, a masterpiece of Roman engineering. In the first part of the stage you will face short slopes. 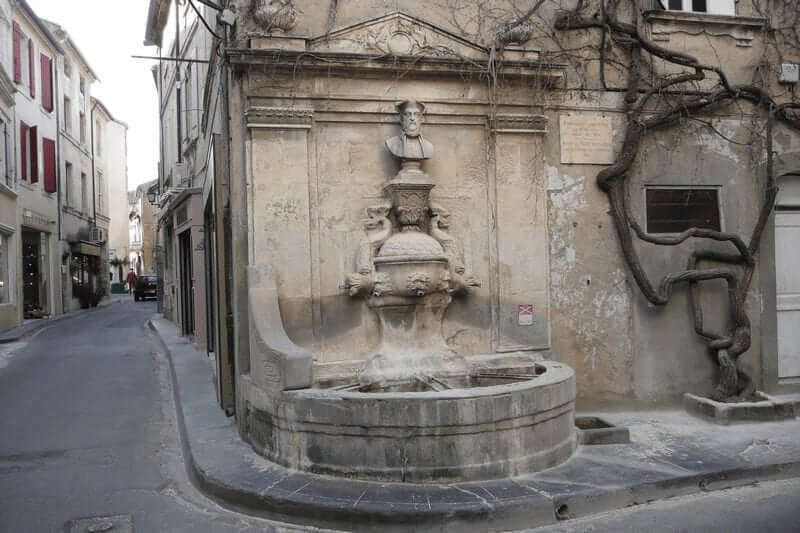 Navigation: about 2 hours from Avignon to Aramon. 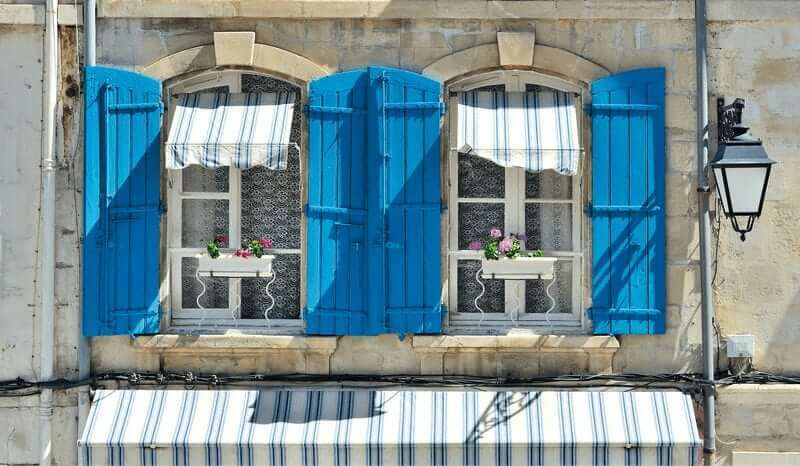 You start your day sailing to Vallabrègues, a pretty Provençal village on the banks of the Rhône. 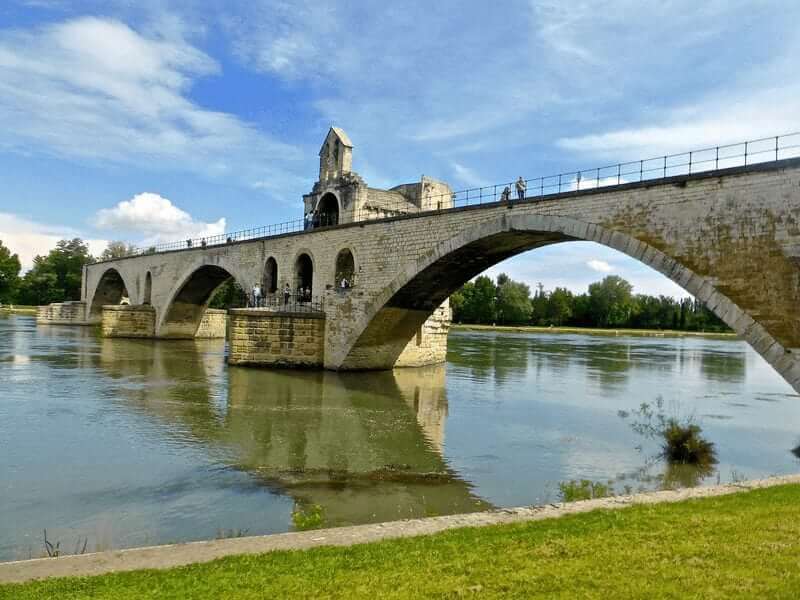 Along country roads you will arrive to Barbentane with its castle at the confluence of the Rhone and Durance rivers. 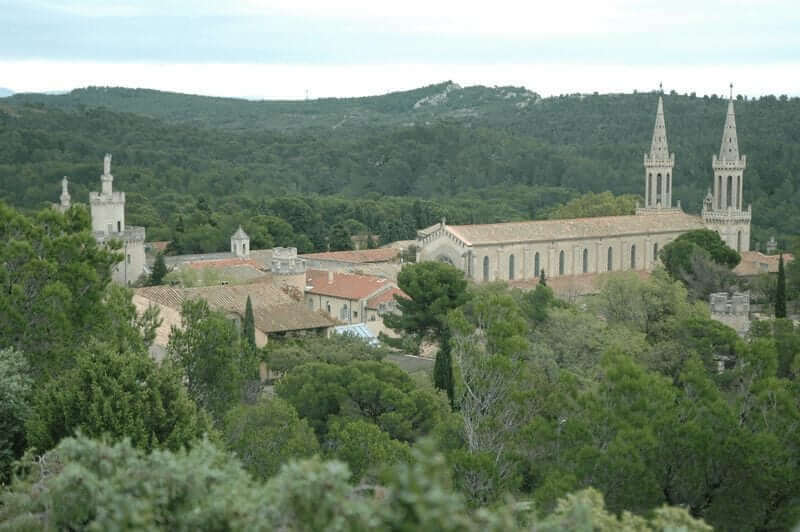 You will cycle to the magnificent Abbey of Saint Michel de Frigolet and afterwards down to the medieval village of Boulbon. Overnight in Vallabrègues. 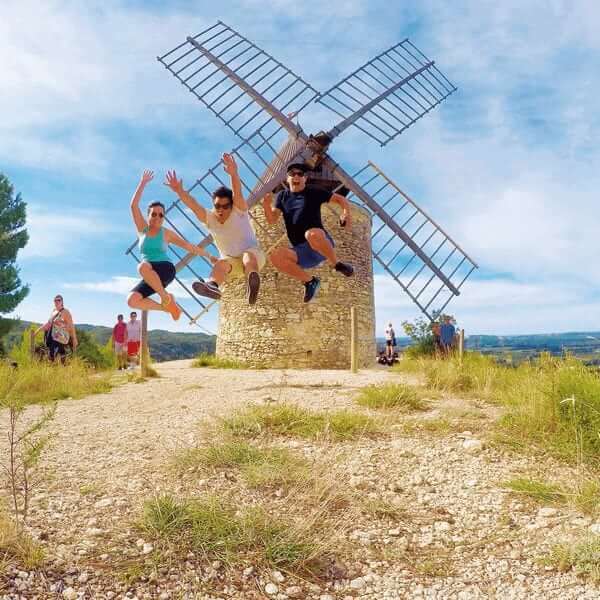 Navigation: about 1 hour from Aramon to Vallabrègues. 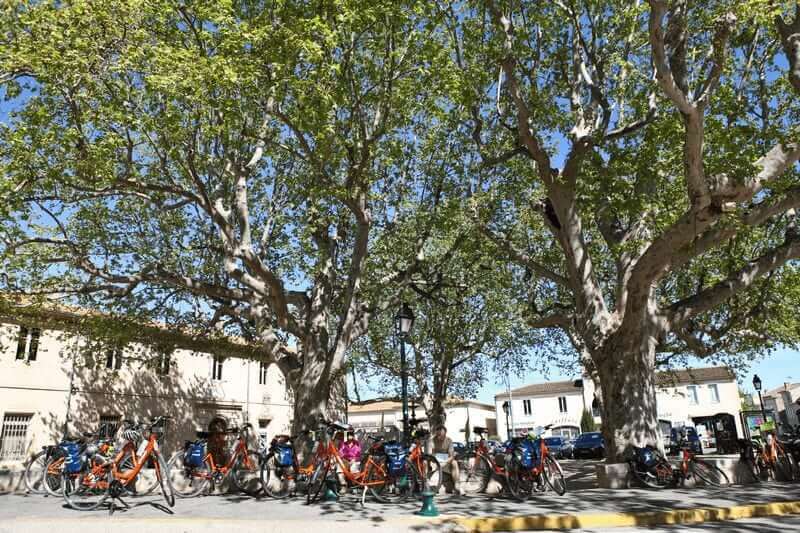 Today’s stage is a short “transfer” tour leading you through “Tête de la Camargue”, an area in the south-west of Arles delimited by the Petit Rhône. 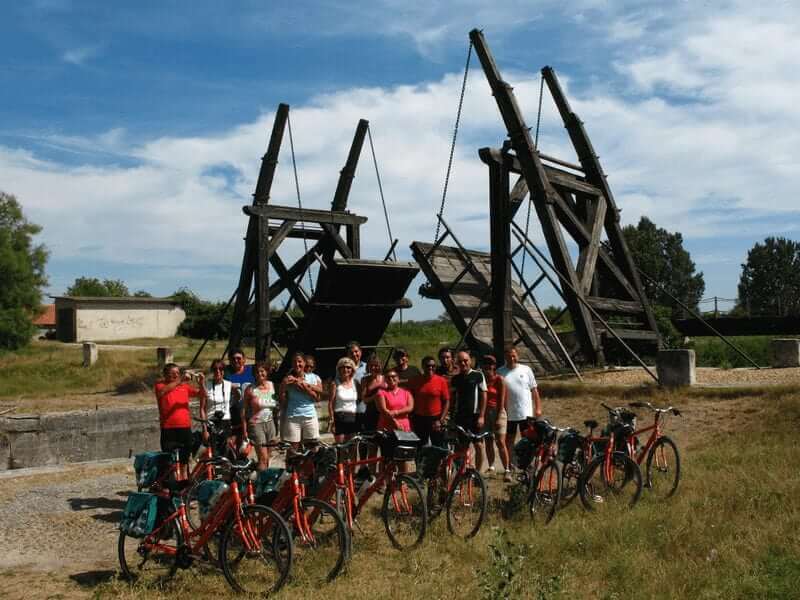 A cycle trip traversing cultivated fields, reed beds and bull farms as far as the the lock of St-Gilles. 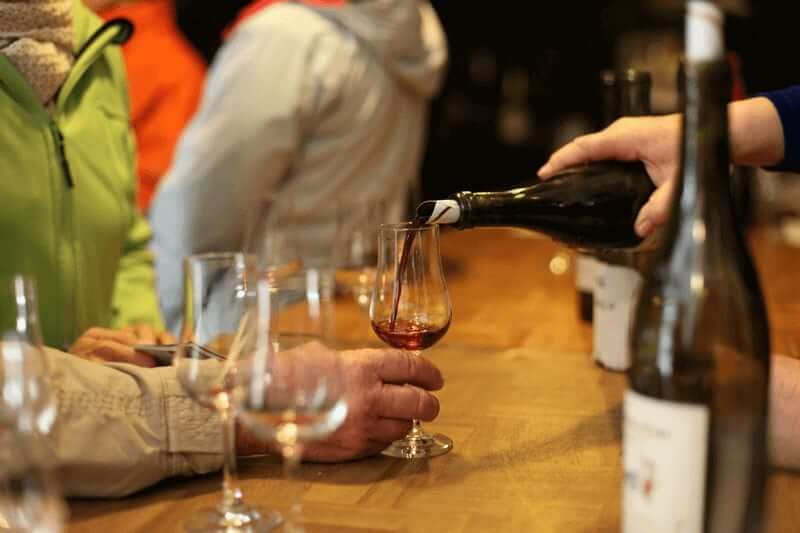 For individual bookings the barge, Caprice or L’Estello, will be assigned by the tour operator according to availability. 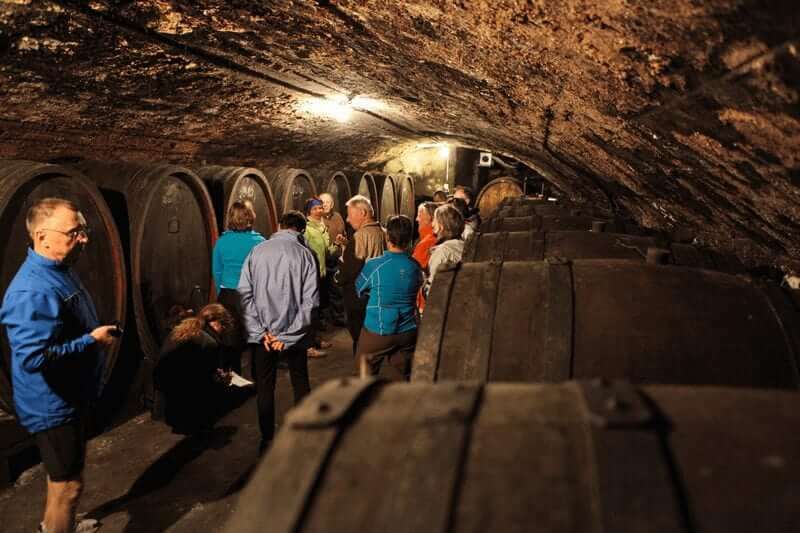 The program has been planned to feature navigation along the Rhone River and Rhone-Sète Canal. 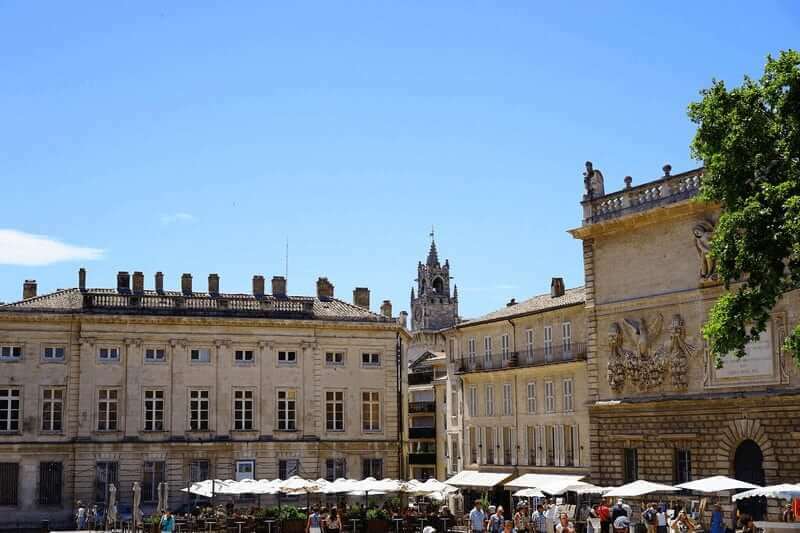 Due to organisational reasons, weather conditions or provisions issued by local authorities, the itinerary may be subject to some changes before and/or during the holiday. Issues with high and low water, as well as logistic obstacles such as officially ordered – previously not announced – repair work on locks or bridges can modify some of the daily stretches or overnight stays and may even request a transfer by bus. These decisions are only taken by the barge’s captain. 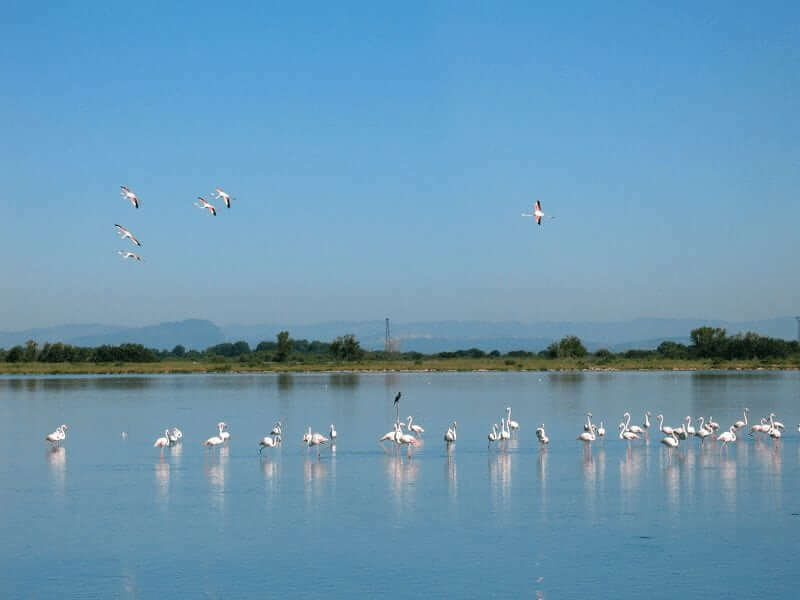 The tour is totally in the lowlands during the two stages in Camargue, while the stages north of Arles present some ups and downs, which are however easy to overcome. 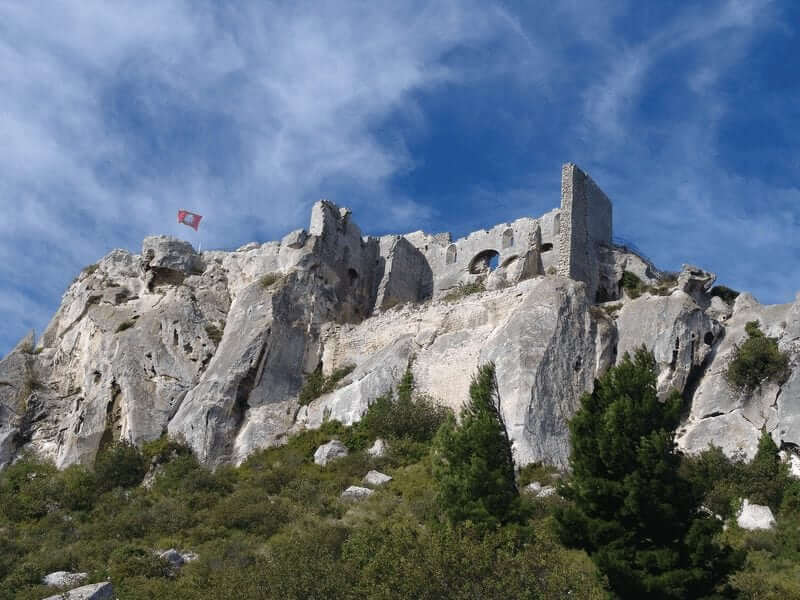 There is just one more demanding slope towards Les Baux de Provence, but you will be fully repaid with an extraordinary landscape. The itinerary is mostly on secondary roads with low traffic; some short stretches on more busy roads are however inevitable. There will also be a couple of navigation stretches to make the stage more enjoyable. 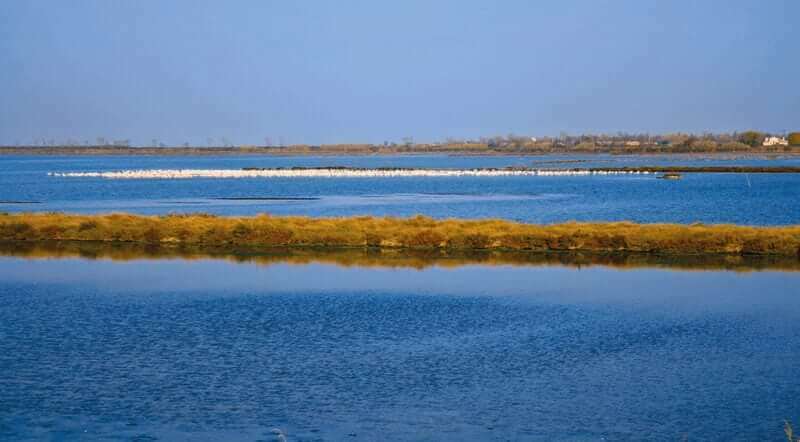 Going through small country lanes of Camargue between canals, lagoons and small villages you will have the chance to see the famous black bulls and the white horses typical of this region, as well as the pink flamingos…In the afternoon you will reach in the afternoon the charming fishermen’s village Le Grau-du-Roi. Possibility of a refreshing bath on the beach. 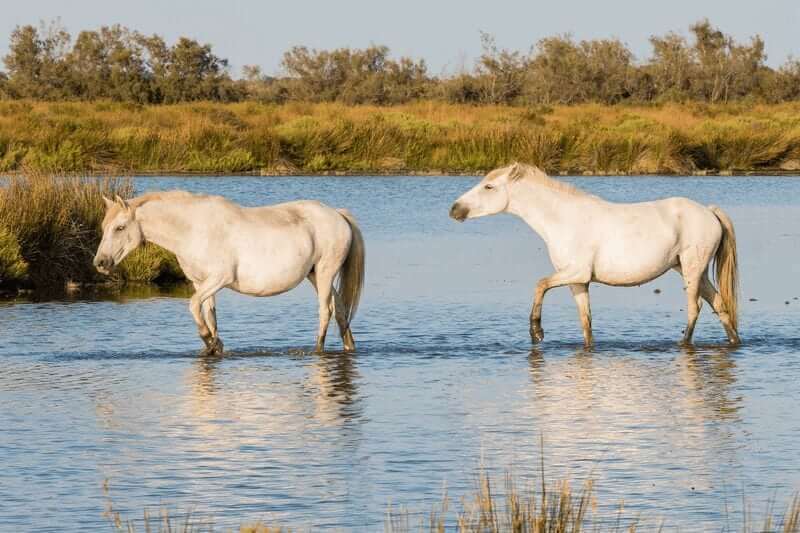 This stage is dedicated to the exploration of the Camargue area, with its canals, villages and lagoons. In the afternoon you will reach the seaside town of Le Graudu-Roi where you can have a bath in the Mediterranean Sea and relax on the sand. 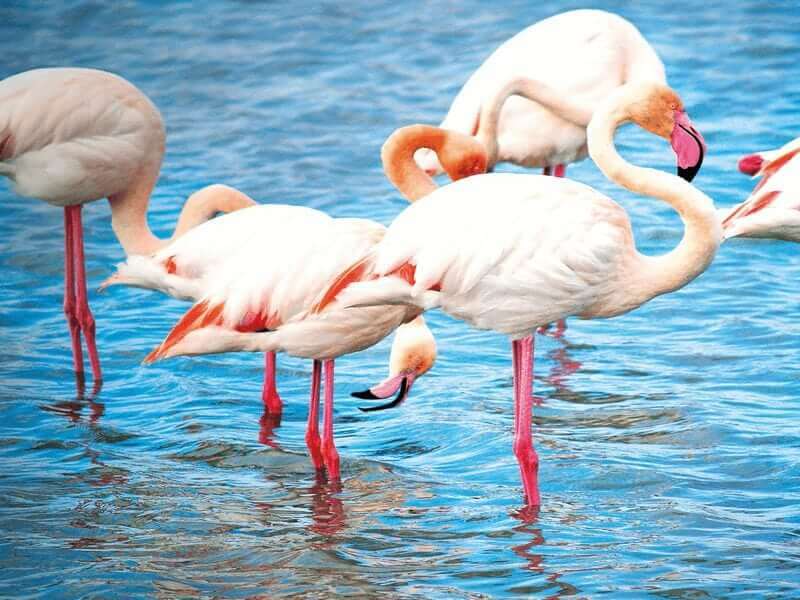 Do not miss the opportunity to observe small groups of pink flamingos along the Canal du Rhône à Sète and on its ponds at the edge of the Salins du Midi. 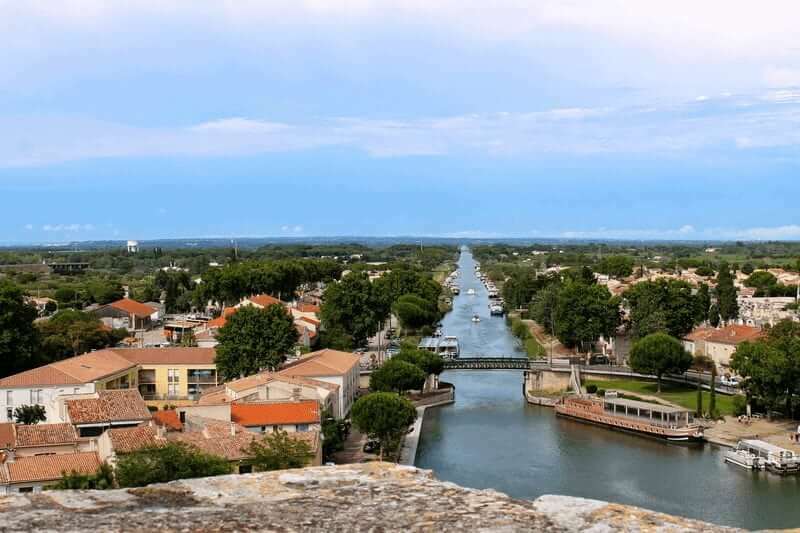 Today’s stage is a short “transfer” tour leading you through “Tête de la Camargue”, an area in the south-west of Arles delimited by the Petit Rhône. 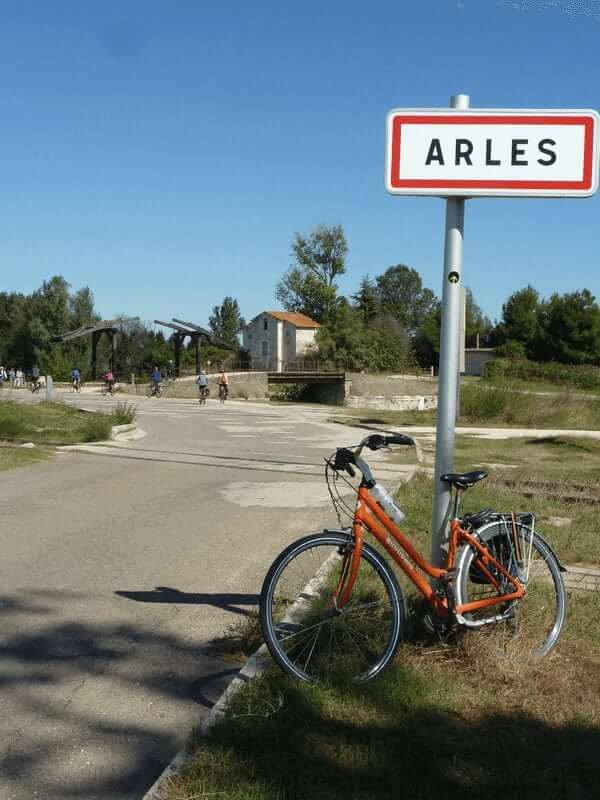 A cycle trip traversing cultivated fields, reed beds and bull farms as far as the town of Arles. 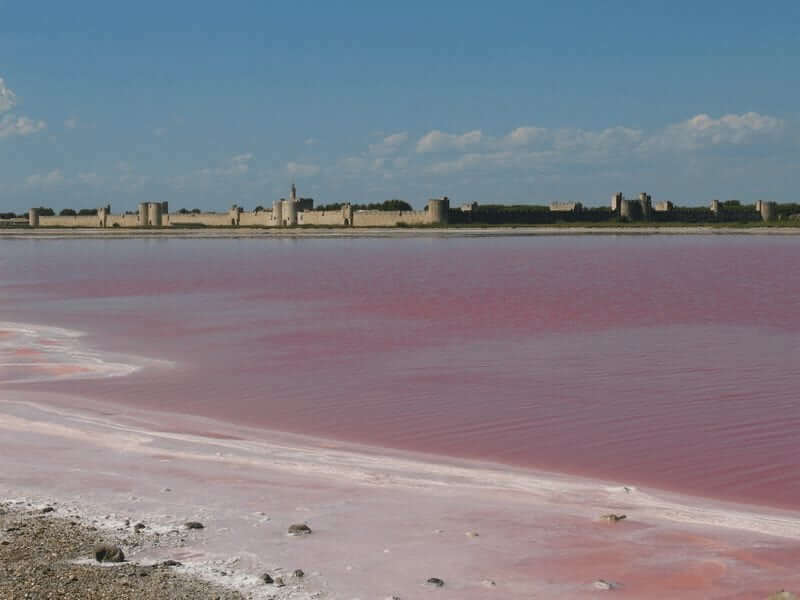 Navigation: about 2,5 hours from Aigues Mortes to St-Gilles. 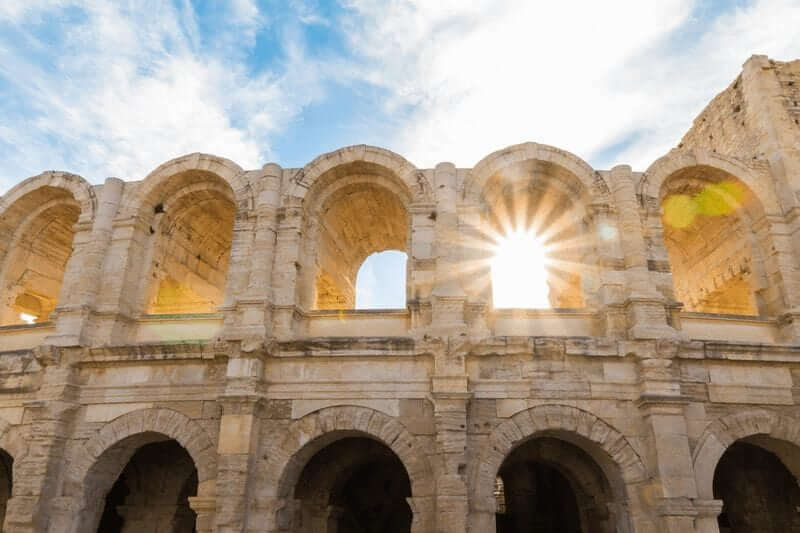 The stage goes along quiet country roads: you will only have to pay attention to the traffic leaving Arles and along the road that leads you from Tarascon to Vallabrègues. 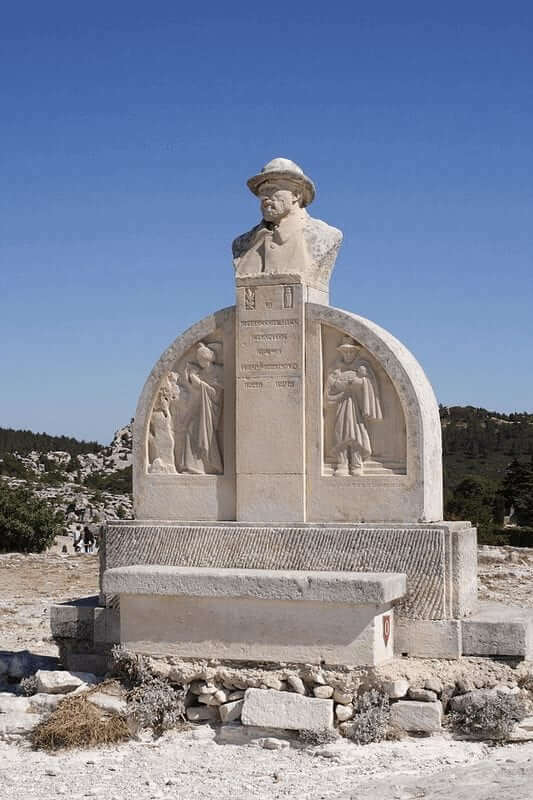 Today’s stage is the only one that has a real elevation up in ascent: 4 km ascent from the village of Paradou to Les Baux de Provence. 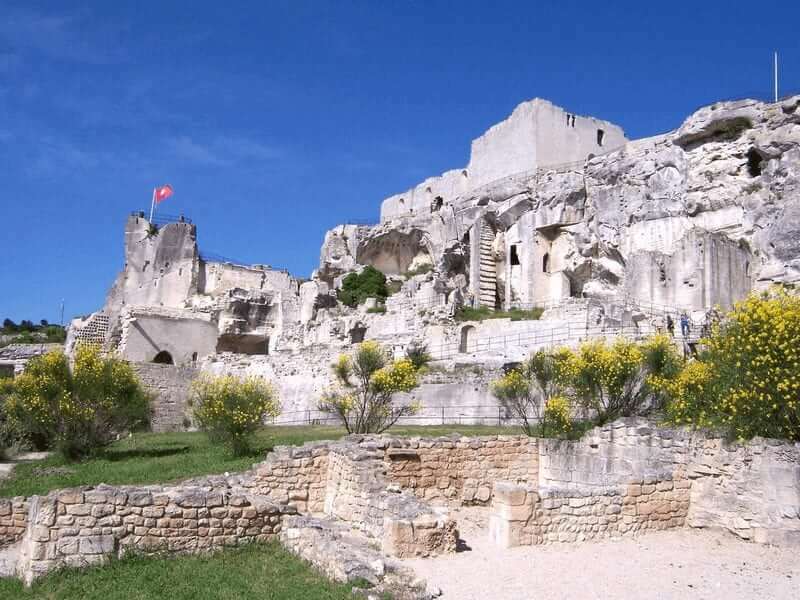 But after Les Baux a beautiful 4 km downhill to St. Remy waits for you. 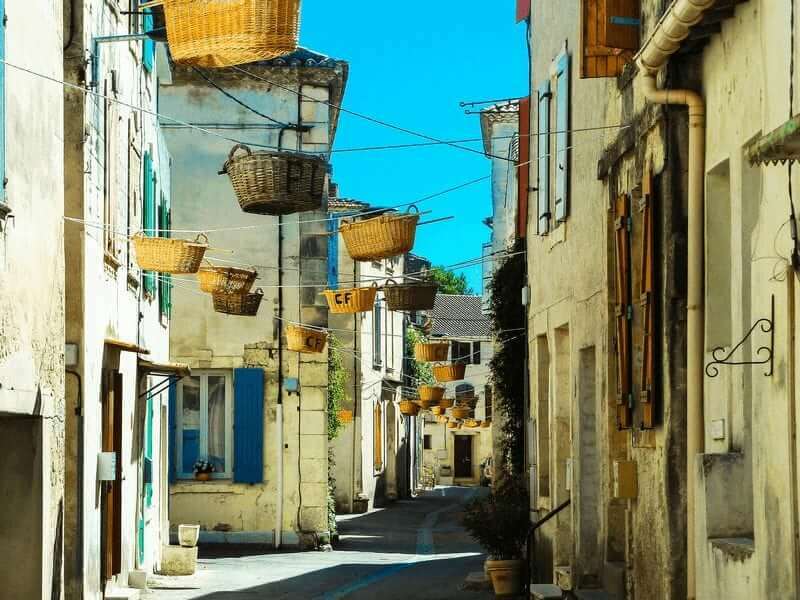 Along country roads you will arrive to Barbentane with its castle at the confluence of the Rhone and Durance rivers. 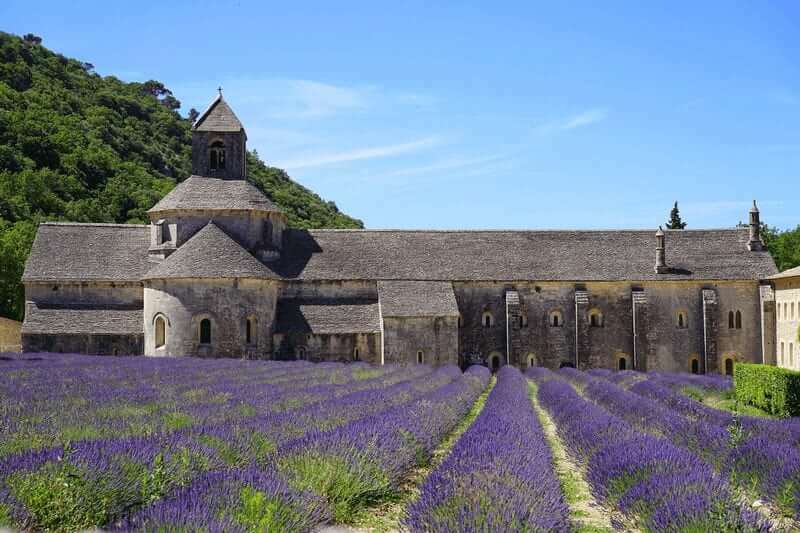 You will cycle to the magnificent Abbey of Saint Michel de Frigolet and after-wards down to the medieval village of Boulbon. 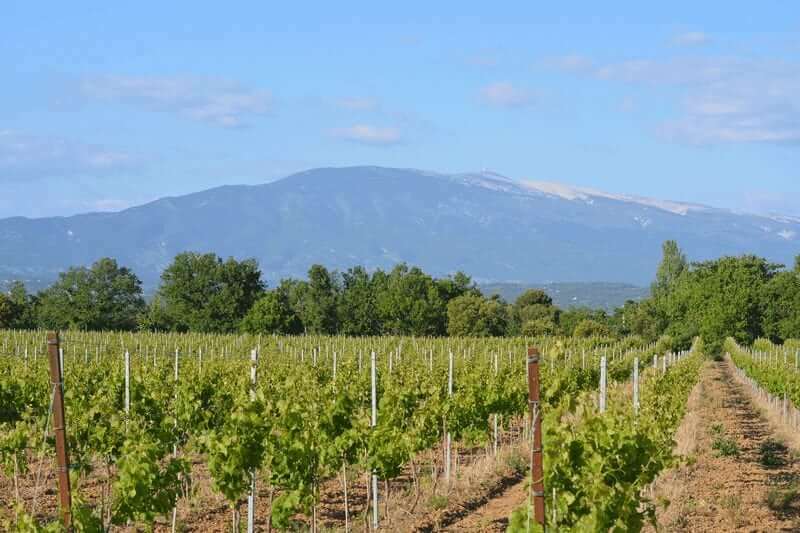 In the afternoon navigation to Aramon for the overnight with a beautiful view over the Mont Ventoux. 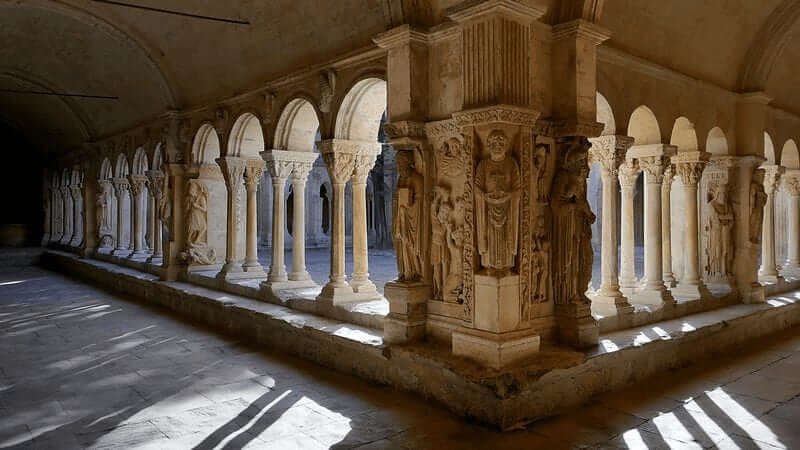 After leaving Vallabrègues, you come up the course of the Rhone to the medieval village of Barbentane, from which you start the climb to reach the abbey of Saint Michel de Frigolet. After relaxing in the quietness of the place a descent of 4 km and a pleasant country road are waiting for you before arriving in Boulbon. Navigation: about 1 hour from Vallabrègues to Aramon. 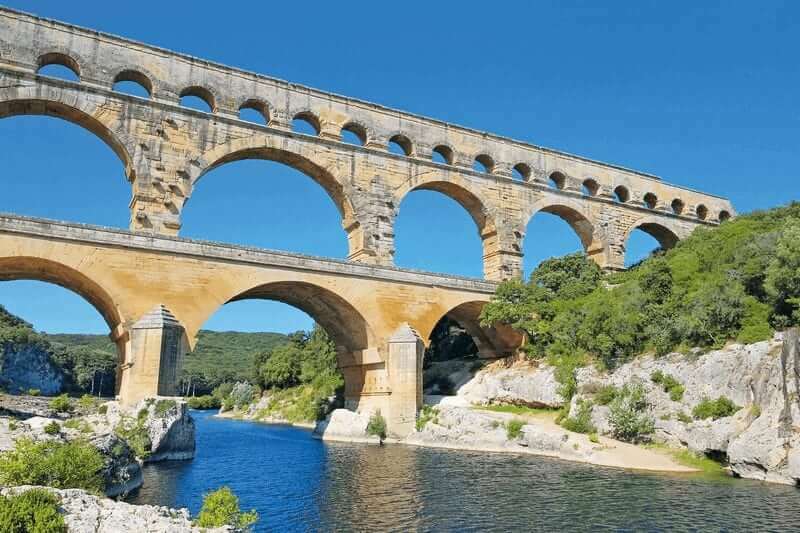 After leaving the village of Aramon the itinerary will bring you between rolling hills covered with fine vineyards and ancient villages before reaching the front of the majestic Pont du Gard, a masterpiece of Roman engineering. In this first part there are some short slopes. Navigation: about 2 hours from Aramon to Avignon. 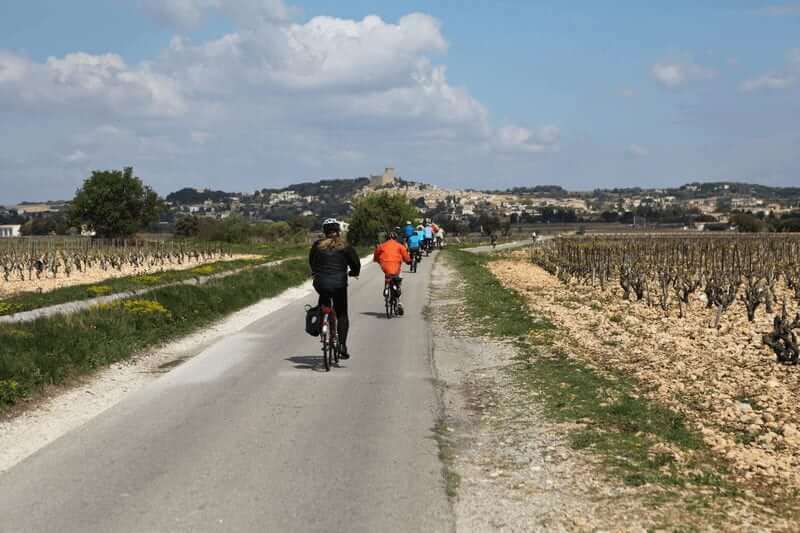 Today you’ll get to the other side of the river Rhone by crossing the island Île de la Barthelasse, and we’ll ride in the typical garrigue landscape, between vineyards and orchards. 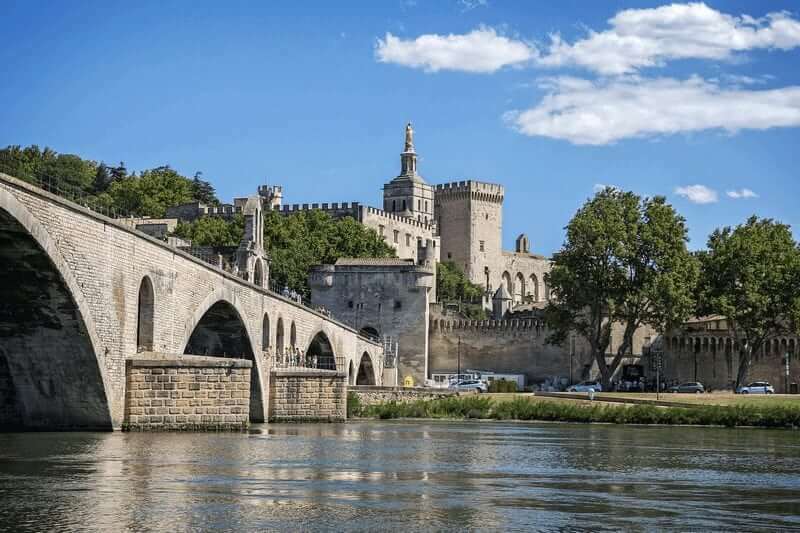 Before going back you’ll visit Villeneuve Les Avignon, once known to be the town of the cardinals. 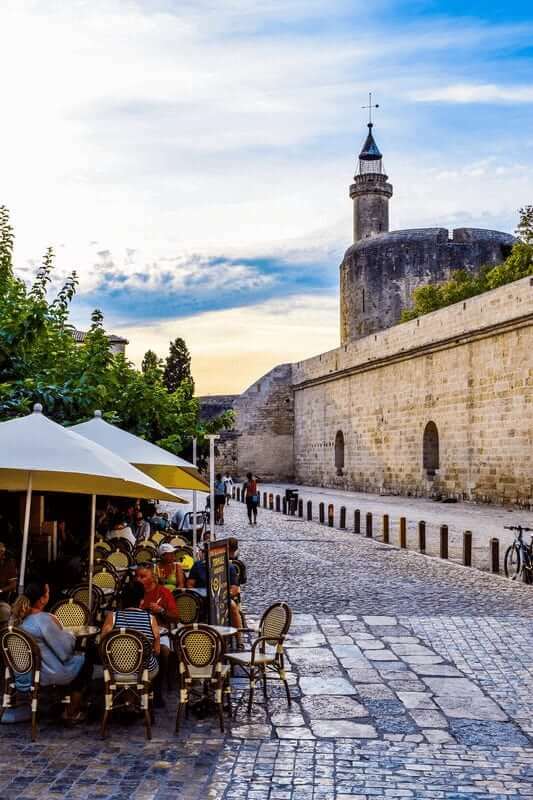 In the afternoon a guided visit will let you discover the historic center of Avignon. 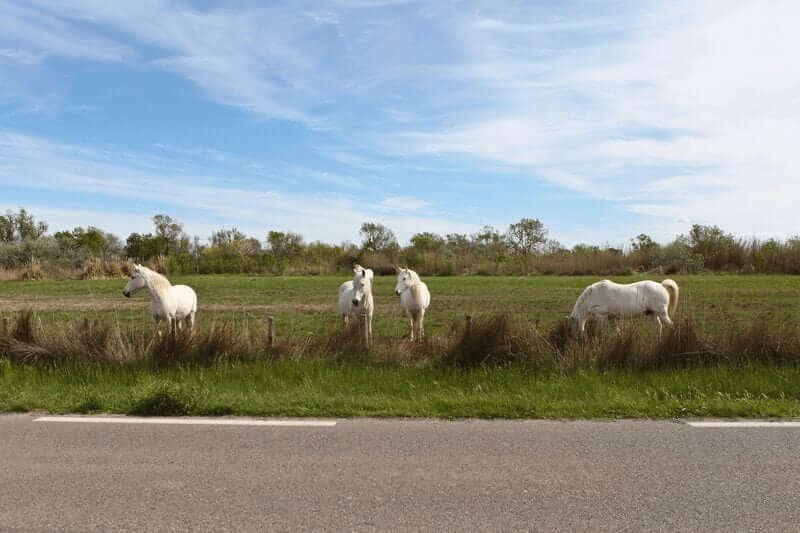 From Aigues Mortes to Avignon on: April 6 and 20; May 4 and 18; June 1, 15 and 29; July 13 and 27; August 10 and 24; Sept. 7 and 21; Oct. 5 and 19. 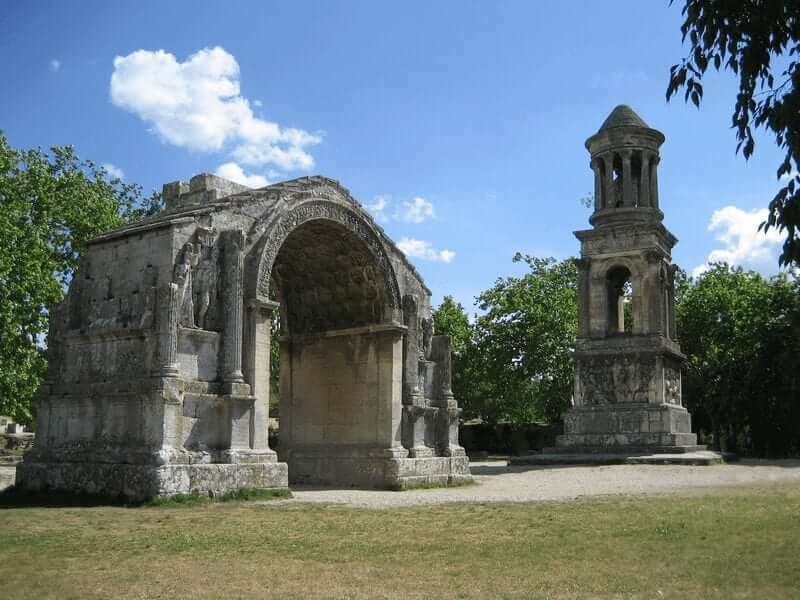 From Aigues Mortes to Avignon on: April 4 and 18; May 2, 16 and 30; June 13 and 27; July 11 and 25; August 8 and 22; Sept. 5 and 19; Oct. 3 and 17. 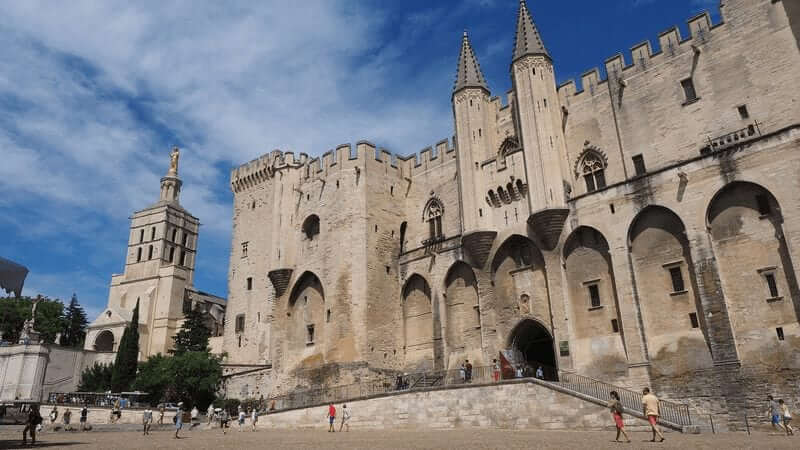 From Avignon to Aigues Mortes on: April 11 and 25; May 9 and 23; June 6 and 20; July 4 and 18; August 1, 15 and 29; Sept. 12 and 26; Oct. 10 and 24. Once on board, make sure that the kitchen staff is aware of your allergies, in order to avoid unpleasant situations. A supplement may be asked (€ 50, in advance). 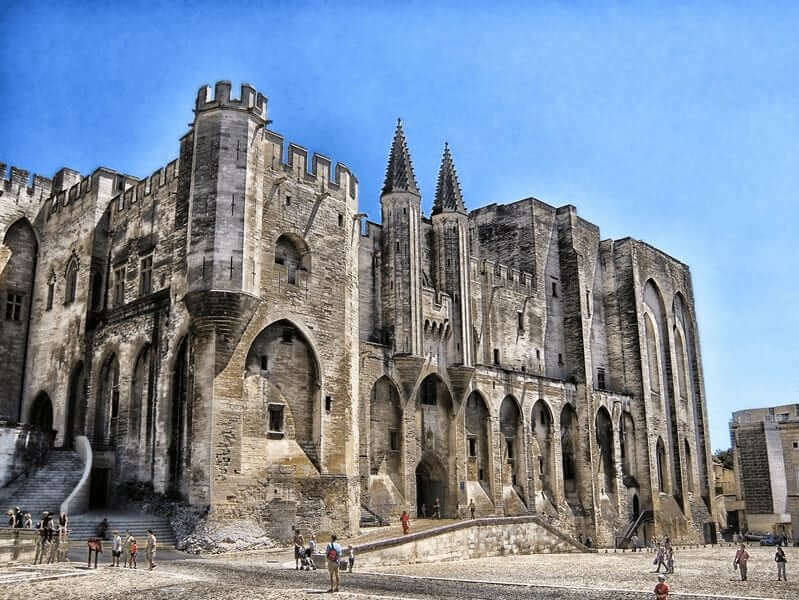 We advise you to take the train back to Aigues Mortes/Avignon. The duration of the tour is about 2 hrs and the price is approx. €15 (to be paid on site). 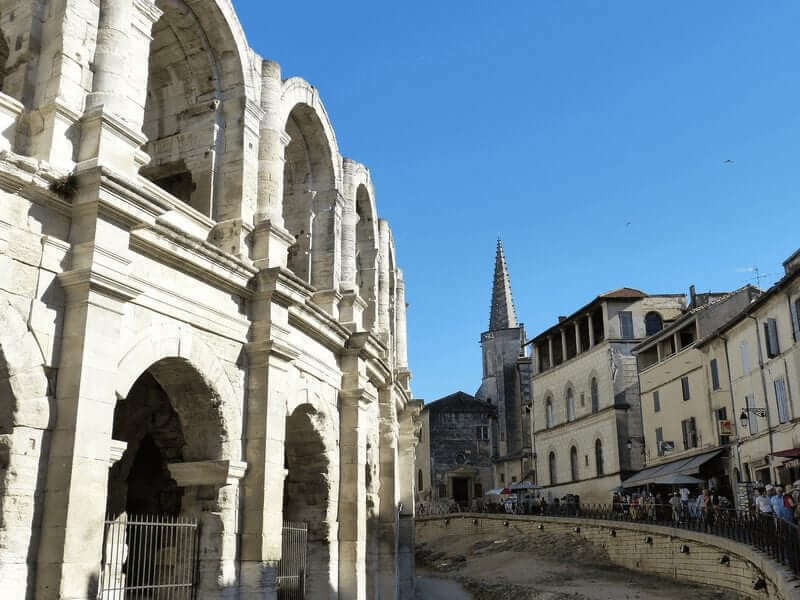 For departure times and ticket prices please look on: www.tgv-europe.com. Outstanding trip. We were well and comfortably taken care of by tour guide and boat crew. A 5 star vacation. The classic Dutch passenger barge L’Estello has been sailing since 1937. Of course she has been converted to today’s standards of comfort, to make sure you’ll have a pleasant stay. The atmosphere aboard most likely makes you feel at home immediately. The lounge area has large panoramic windows that provide plenty of natural light and the glass doors give access to the inviting sun deck. Find yourself a seat in one of the comfortable sofas or chairs for a refreshing drink and enjoy your breakfast and dinner in the restaurant area. Sleeping will be no problem in the nicely styled cabins. 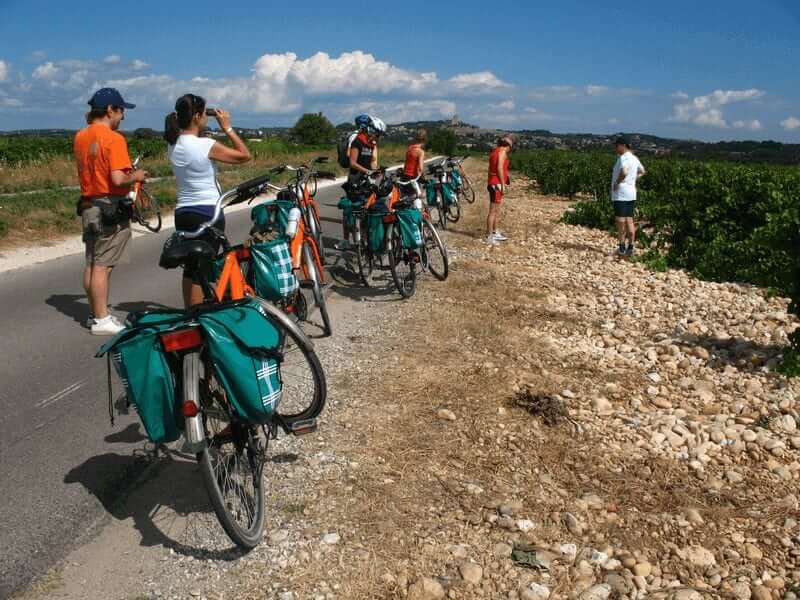 The use of own bikes is not recommended in this tour because of the limited space on the boat and also because of the difficulty of reaching the starting/ending point with public transportation. The possibility of bringing own bikes on board is anyway allowed only on request. The Caprice was – like many other vessels – built as a cargo ship and later on converted into a passenger ship in 1996. The last refit (2009) brought its level to standards of modern comfort. In the pleasant air conditioned lounge you have a wonderful view. This is especially nice whilst enjoying your breakfast and dinner in the restaurant, or when you relish a cool drink in the salon. Each of the 11 cozy cabins have a private bathroom with a shower, toilet and sink.